God is Creator and Ruler of the universe. He has eternally existed in three personalities: the Father, the Son, and the Holy Spirit. These three are co-equal and are one God. Jesus Christ is the Son of God. He lived a sinless human life and offered Himself as the perfect sacrifice for the sins of all people by dying on a cross. He arose from the dead after three days to demonstrate His power over sin and death. He ascended to Heaven and will return again someday to earth to reign as King of Kings and Lord of Lords. The Holy Spirit is in the world to make men aware of their need for Jesus. He also lives in every Christian from the moment of salvation. He provides the Christian with power for living, understanding of spiritual truth and guidance in doing what is right. He gives every believer a spiritual gift. As Christians, we seek to live under His control daily. The Bible is God's Word. It was written by human authors, under the supernatural guidance of the Holy Spirit. It is the supreme source of truth for Christian beliefs and living. Because it is inspired by God, it is the truth without any mixture of error. People are made in the spiritual image of God, to be like Him in character. Although every person has tremendous potential for good, all of us are marred by disobedience toward God called "sin". This attitude separates people from God and causes many problems in life. Salvation is God's free gift to us but we must accept it. We can never make up for our sin by self-improvement or good works. Only by trusting in Jesus Christ as God's offer of forgiveness can anyone be saved from sin's penalty. When we turn from our self-ruled life and turn to Jesus in faith we are saved. Eternal life begins the moment a person receives Jesus Christ into his or her life by faith. 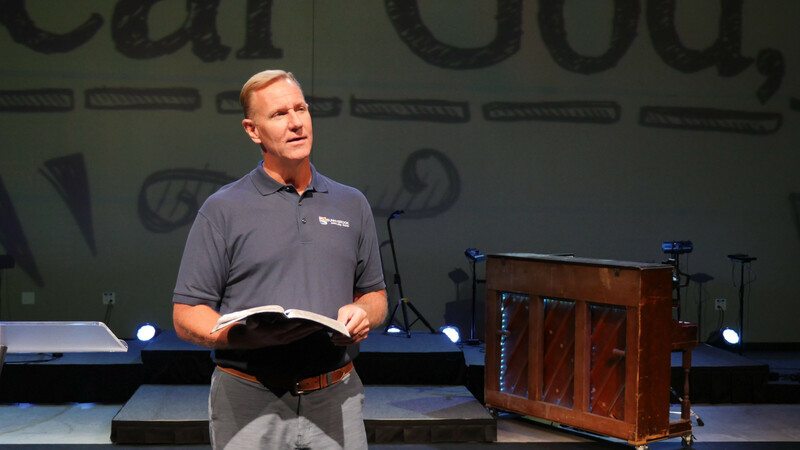 The Statements of Sunnybrook Community Church summarize the core of our beliefs and interpretations. These statements combine biblical integrity and guidance to solve issues that may arise in the church. Click here to read. Parents request infant baptism for their child as a sign of the covenant to bring a child up in the way of the Lord in hopes they may one day receive Christ as their Savior. It is not a guarantee of salvation and we do not believe in baptismal regeneration. The infant is usually baptized by "sprinkling", or the act of dropping water over the baby's forehead, baptizing the child in the name of the Father and of the Son and of the Holy Spirit. This is considered a sacrament or a sacred oath, and refers to God's covenant with us (first of all) and ours in response to God's gracious provision of salvation in Jesus Christ. Paul correlates baptism with circumcision in Colossians 2:11-12. Circumcision is a sign of the Old Covenant of God’s mercy; baptism is a sign of the New Covenant of Grace. The acceptance of this form of baptism hearkens back to when entire households were baptized by the disciples and apostles when they went out, following the Great Commission to "Go and make disciples of all nations, baptizing them in the name of the Father and the Son and the Holy Spirit…” (Matthew 28:19). If you have questions, please contact Jeff Thelander at or call the church office at 712-276-5814. In believer's baptism, the person being baptized is publicly professing his or her own decision to accept Christ as their Savior. It is considered a step of obedience following one’s declaration of faith in Jesus Christ. "Repent and be baptized, every one of you, in the name of Jesus Christ for the forgiveness of your sins. And you will receive the gift of the Holy Spirit.”(Acts 2:38) Throughout the gospels and the book of Acts there are numerous examples of people believing and being baptized. Typically, believer's baptism takes place by immersion, following the example of Christ’s immersion in the Jordan River.